On August 17th, Indonesia Celebrates Independence Day! Today, LiveMD would like to send congratulations to all of the people of Indonesia! Happy Independence Day! On August 17th, 1949, Indonesia proclaimed themselves an independent nation after years of being a colony of the Netherlands. This small, island country, located in Southeast Asia has a current population of 258 million people. Despite its small size, it has the fourth largest population of any country in the world. 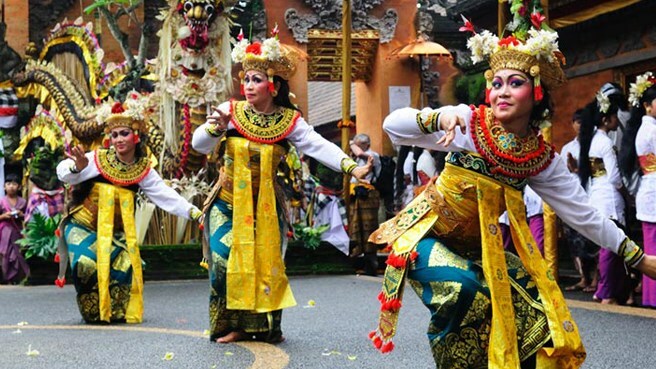 Indonesia has a diverse culture and heritage and is also rich in natural resources. Despite Indonesia’s economic growth, there is still a very large percentage of the population that is living in poverty. More than 28 million people live below the poverty line and many of these live in rural areas and do not have access to healthcare. There are approximately 2,500 hospitals in Indonesia, however the majority of these are located in urban areas. Currently there are programs in place to provide government funded, universal healthcare to all of the country’s inhabitants and to improve the access to care for everyone in this nation. Smoking is very popular among the people of Indonesia. It is estimated that 34% of the population, or 57 million people, are smokers in this country. This high rate of tobacco use also leads to a high death rate from smoking related causes. Diseases such as lung, throat and mouth cancer, emphysema, COPD, heart disease and stroke are all common in this country and result in over 400,000 deaths each year. Mental health is a very large concern in Indonesia. It is estimated that over 11% of the country’s entire population suffers from some type of mental health disorder however there is very little access to quality mental health care. Many of these people are left to suffer in silence. The air quality in Indonesia is very poor and results in a smoke haze of pollution that covers the entire country. This can cause many different respiratory problems and illnesses. Dengue Fever is a mosquito borne illness that can result in the very sudden onset of fever and can cause very painful inflammation in the joints. Indonesia has suffered many severe outbreaks of this disease and each year it accounts for nearly 1,000 deaths. There has been testing done throughout the country on a new vaccine to protect against Dengue Fever. Results of this testing are being analyzed and it is hopeful that the vaccine will be approved for widespread use very soon. Congratulation Indonesia on 67 years of Independence! LiveMD is proud to be able to offer their services to all of those who need medical assistance but are unable to easily access it. If you need healthcare advice, our doctors, nurses and specialists are available online 24 hours a day, 7 days a week to assist you. Visit www.mylivemd.com today to set up your appointment. Select a Doctor below and talk by Phone, Text, Video Chat, or In-Person. 2016 Summer Olympics Journal #6 – Hosting the Olympics !